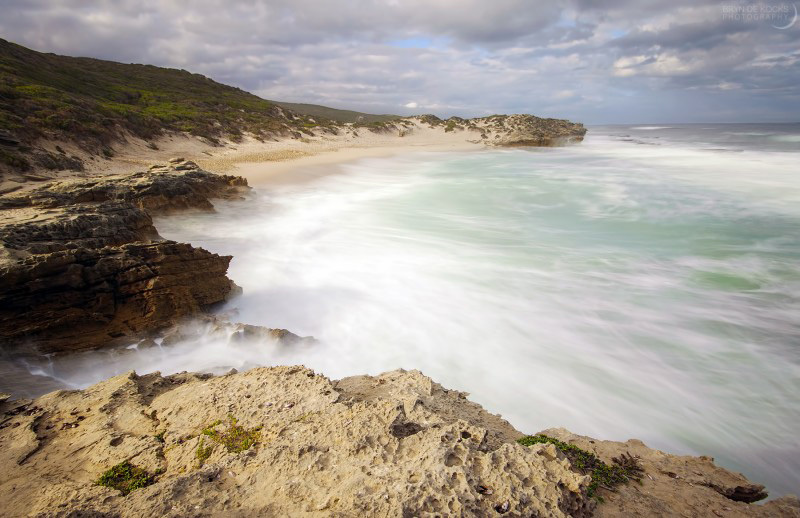 Located along the southern coast of the Western Cape, De Hoop Nature Reserve is one of the Cape’s most fascinating reserves. For birders it hosts the last remaining breeding colony of Cape Vultures, while for aquatic mammal lovers, there are unrivalled views of whales during the summer months. The endless rolling dunes, coastal outcrops and vast farmlands within the reserve also attract fans of landscape photography. Having only visited the reserve once before myself, I decided to take the better half on a road trip and make an early morning drive through. The night before we performed our usual early morning venture check-list; camera batteries – check, formatted memory cards – check, tripod plates attached – check! The bird guides were packed in the bags along with the bins and everything was set. We would be departing from Somerset West at 07:00 in order to arrive at the reserve by about 09:30. De Hoop is about 2.5 hours from Somerset West and around 3 hours from Cape Town. For this trip I wanted to ensure that I had equipment that would cater to all my needs and as such included a fair range of lenses; my primary landscape lens is the Sigma 10-20mm F4-5.6, while it tends to get a little soft near the 18mm mark onwards, the optics at the 10-15mm range is great. Canon’s 50mm F1.8 (aka ‘nifty fifty’) despite being primarily a portrait lens, the nifty fifty can act as a good all-round lens, it is also pin sharp. My Canon 400mm F5.6, which I use for birds and other wildlife; I’ve used the Canon 400mm prime for a while now and its speedy AF and sharpness is unrivalled at the price range. 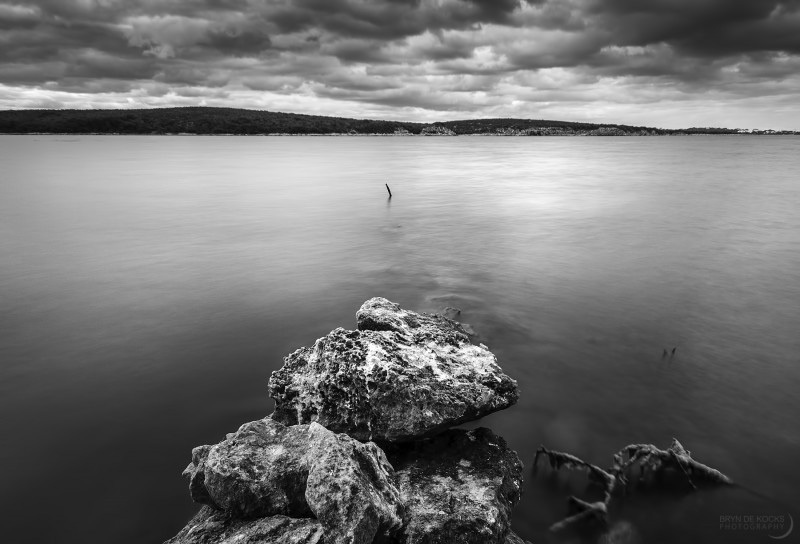 I never leave home without my Hoya ND400 neutral density filter, which really helps in creating mood in waterscape imagery. The body being used was a Canon 50D, which despite being several years old at this point, I find is still able to produce quality images in most scenarios, boasting impressive FPS, Micro auto-focus adjustment, as well as being one of the strongest builds Canon have used for a mid-range body (it can definitely take a knock). Finally, my tripod is one of the lower to mid range Manfrottos and while some prefer a more steady stronger build, I find that the lack of weight and small size is an advantage in the way I shoot. The morning of our trip we were up by 06:00 and ready to depart as planned. The route we’d be taking was over Sir Lowry’s Pass, past Grabouw, through Caledon on the R316 and finally through Bredasdorp and onto the R319. The sun was still coming up as we were passing over the mountain pass towards the Overberg area, with golden light, occasionally obscured by cumulus clouds in the distance. The forecast for the day was partly cloudy conditions with no rain. Despite our best efforts to ensure we were all set the night before, Megan had forgotten her camera battery in the charger at home. A single word not quite suitable for the ears of children summed up my emotions, as it slipped from my mouth. “I guess we’ve got to go back and get it”, I said. Having already been 40 minutes into our journey the return meant that we were at least going to run over an hour later than our intended arrival time. However, there were really no alternatives. Just over an hour later and we were in a similar position to what we had been in before, instead this time we had two functioning cameras instead of one. However, our focus began to shift to the darkened clouds which seemed to be bringing rain to the fields in the distance. We pushed on, nothing was going to get in the way of our plans. I’ve been a keen birder for a few years now and managed to convince Megan to keep a life list for when we go outdoors, and the trip to De Hoop was focused a lot on making sure that she is able to tick the Cape Vulture, a beautiful bird that is rarely found outside of the reserve in the province. 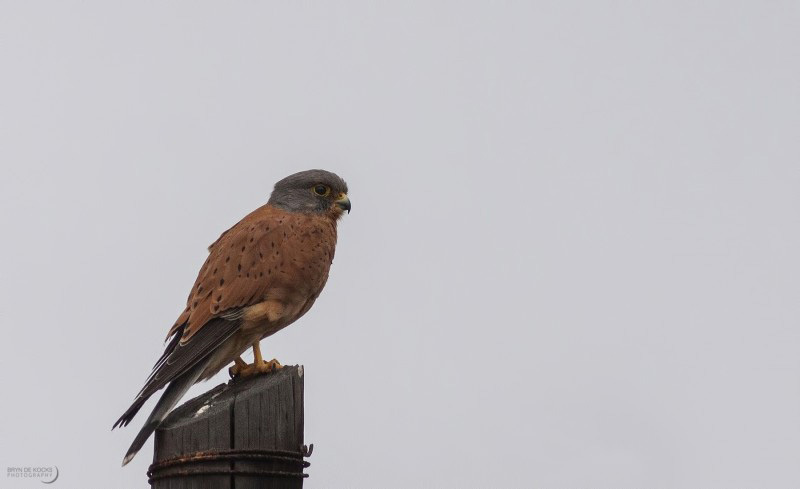 On route we managed to rack up a few common raptor species along the roadside including Rock Kestrel, Jackal Buzzard, Black Shouldered Kite and African Harrier Hawk. 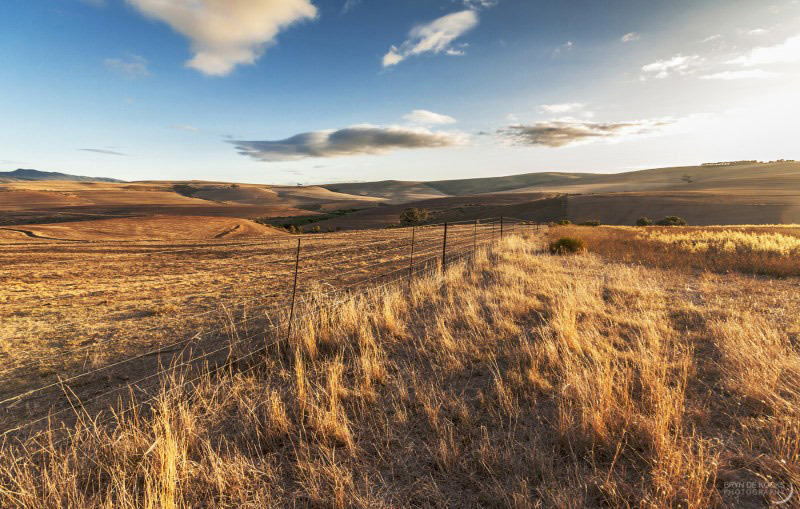 While we passed through a few showers around Caledon and Bredasdorp, once we began to approach the reserve, the clouds began to make way for sunlight, and the temperatures began to rise slightly. Unlike those fortunate enough to own 4x4s, we were making the trip in an Opel Corsa hatchback, something that I hadn’t given much thought and only remembered the reality of the De Hoop road when we turned into it. The main road into De Hoop can be thought of as a right of passage, especially for those driving in sedan vehicles. I personally like to imagine the concept of hell being the De Hoop road, which spans for eternity. There’s no such thing as a free meal though, so we grit our teeth (to prevent them from shattering, not metaphorically) and made the almost hour long drive along the gravel road to the Potberg area, but not before stopping several times to shoot some of the landscape views and some of the common birds which lined the road side fences. 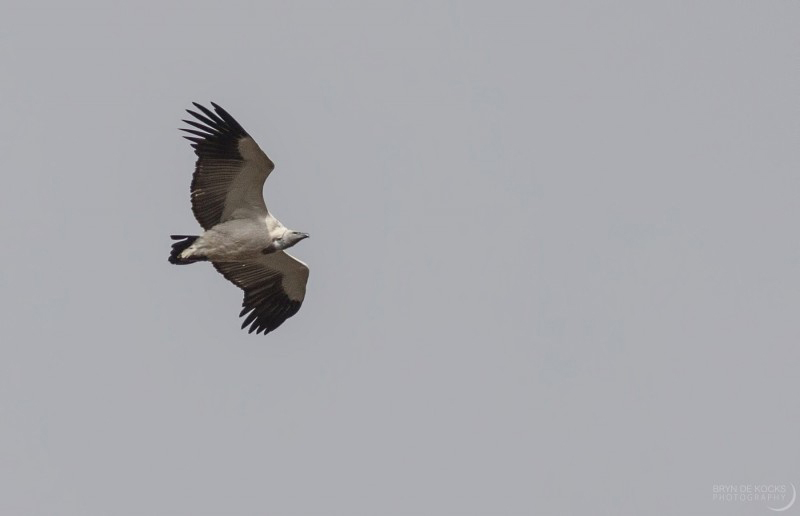 It wasn’t long after our stop at Potberg before we got our first sightings of the Cape Vultures. 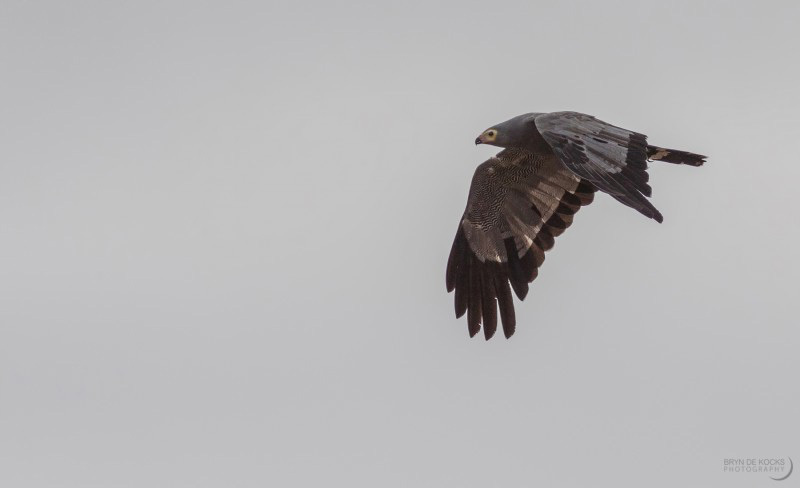 They passed overhead, coming down from the mountain in order to feed in the fields below. You can easily count 20 birds within a 30 minute period. 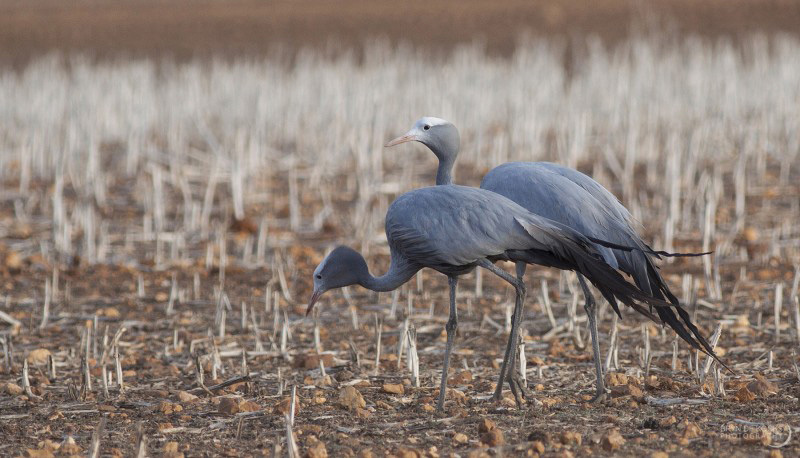 For those looking for better photographic opportunities, you can also take the hiking route which brings you up to eye level with the birds. We then extended our adventure in the park towards the south, heading back towards the way we came, but taking a left turn towards the De Hoop main entrance, which leads down to the coastal areas like Koppie Alleen. The vegetation turns from farming fields to dense fynbos as you head towards the ocean and as such the bird life changes as well. We got several views of the usual fynbos species, with a few lovely views from Bokmakieries while on route to De Hoopvlei. Despite being a dry autumn, there was still quite a bit of water in the vlei and we spent a while here taking in the views and shooting some landscape shots. Then it was onto our final destination for the day, with the sun now beginning to get low and the clouds starting to consume much of the sky. Koppie Alleen would be the target, a place in the park that I had not yet paid a visit to before and was more than keen to see what it offered. 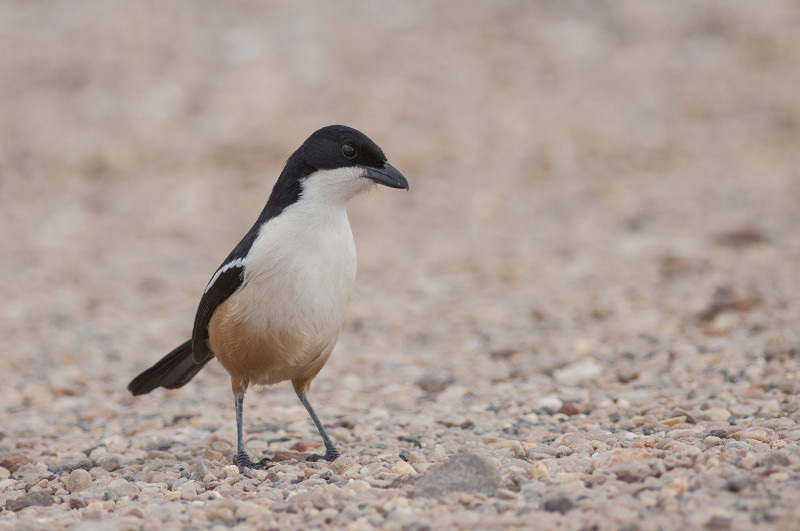 Upon arriving we were greeted by an inquisitive Southern Boubou in the parking lot, who was followed by a Cape Bulbul, the two would occasionally argue over who gets to dig in the bin near the entrance. We followed the path down to the beach and my adrenalin levels began to rise as I saw the landscapes offered along the beach. A tidal pool area offered unbelievable potential under the correct circumstances, while the rest of the beach was lined with intriguing and unique outcrops of rock, perfect for seascape photography. It was a pity that the lighting conditions were only average, as at around sunset – the shots one could achieve here would be worth driving on that bumpy gravel road ten fold. After a while of shooting at Koppie Alleen it was time to head back to Somerset West, but we managed to do so with a sense of accomplishment and having thoroughly enjoyed our day. If you have not yet made your way down to the De Hoop Nature Reserve, you should definitely add it to your location wish list. Having studied photography during the final two years of highschool, it wasn't until I actually left school that I developed a passion for it. I love landscape photography and dream of seeing and photographing as many unique areas across South Africa as possible. 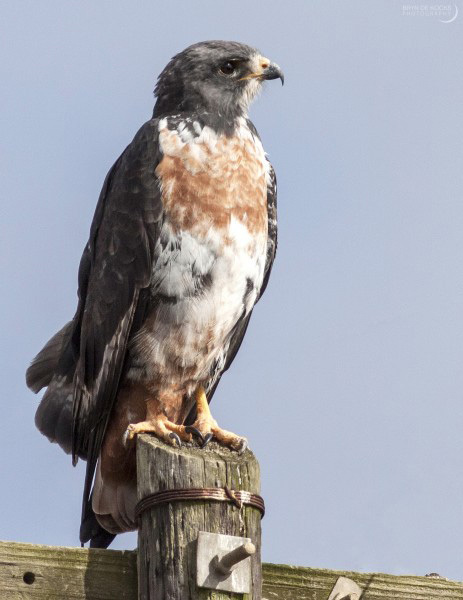 A few years ago I also became a keen birder, and have since focused on bird photography as well.